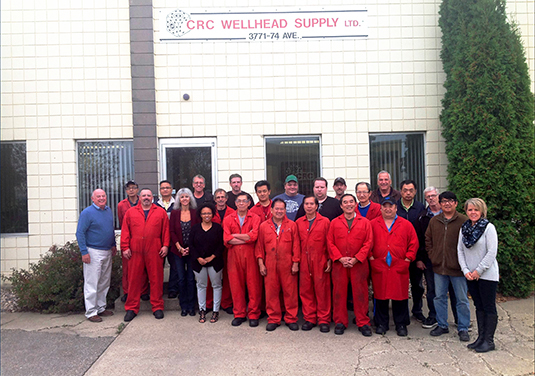 CRC Wellhead Supply Ltd. was established in 1980. The purpose of the company was to supply a common A.P.I. product to the oilfield industry and in particular the wellhead supply companies.Our first A.P.I. license was obtained in 1986 and we have continued to be licensed throughout the years, adhering to the many changes in the A.P.I. Q1 Specification. We have a stock of the common flanges and select wellhead parts used in the industry; as well, CNC and manual machining capabilities along with oilfield pressure welding procedures. Our knowledgeable staff and quick turnaround makes CRC a highly competitive company for your production equipment needs.